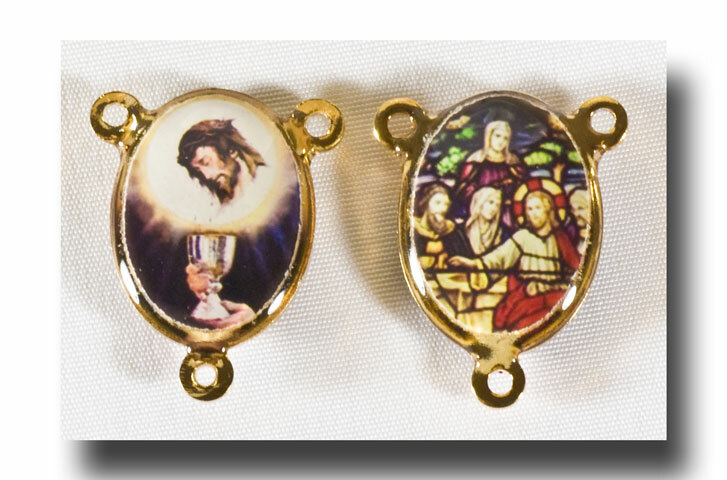 Two-sided full colour picture centre of a glowing Host with Our Lord's thorn crowned head in the middle dripping His precious blood into the chalice that a Priest is holding below. 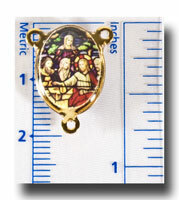 On the other side is a snippet of a stained glass window depicting the Last Supper. 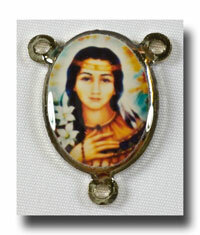 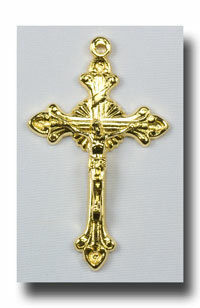 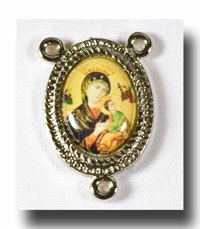 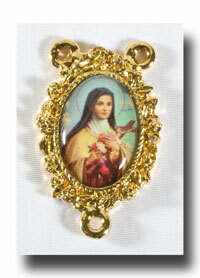 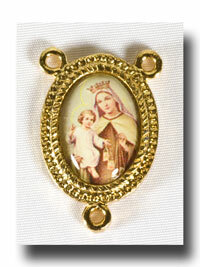 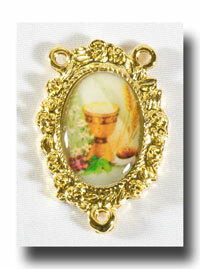 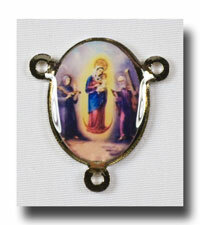 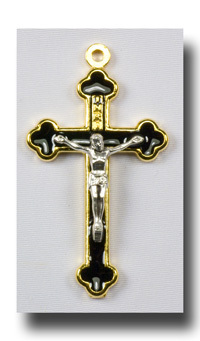 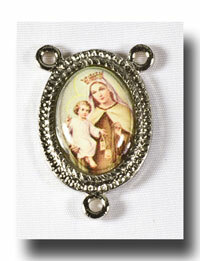 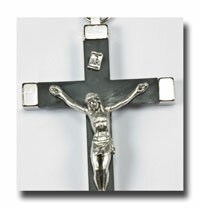 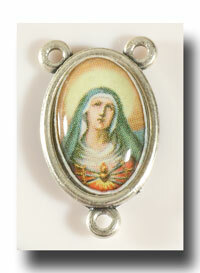 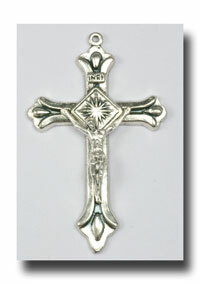 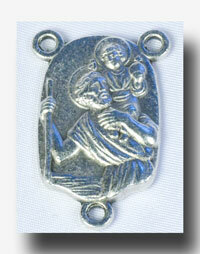 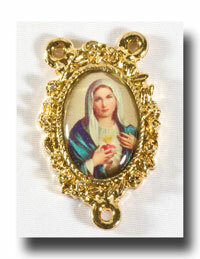 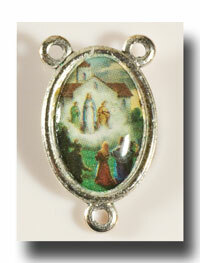 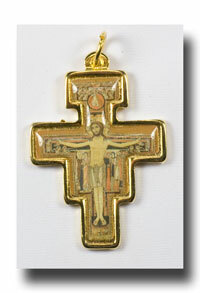 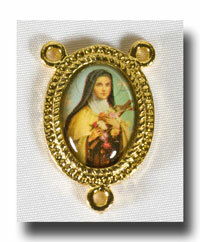 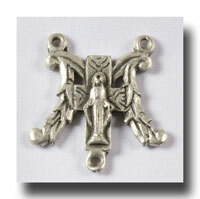 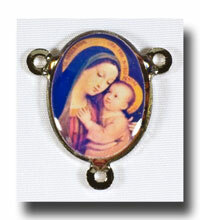 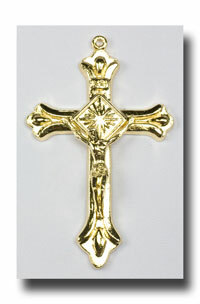 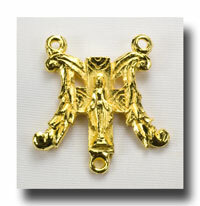 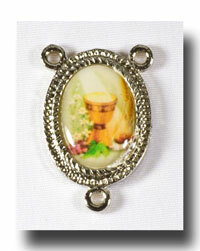 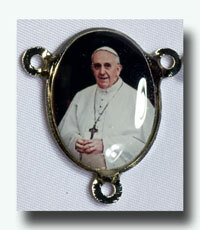 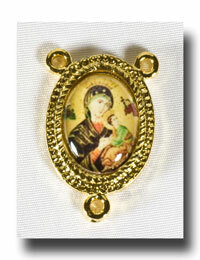 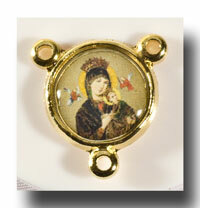 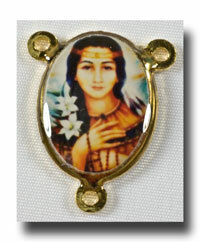 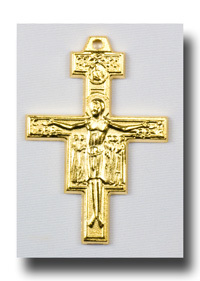 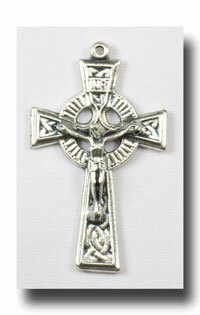 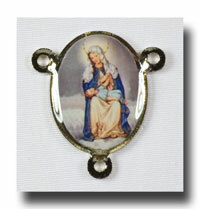 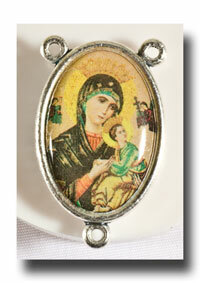 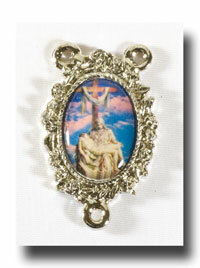 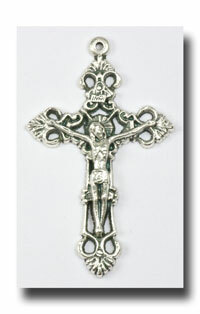 It is a 5/8 inch (16mm) centre in gilt (gold-tone) lead free metal with a clear coating over the pictures.